Item1998.114.51 - Bird's Eye View of Brandon, Man. Donated to by Bob Hoffman to the Daly House Musuem in 1980. Prior owner was Mrs. Reese of 1036 10th Street. Photograph of the Brunswick Hotel operated by E.P. 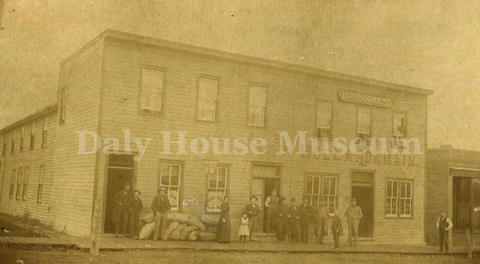 Holland & Main at 10th Street and Pacific Avenue in Brandon, Manitoba (1890 to 1894).